In June of this year, I, along with 11 other people from my home church, were able to travel to the Pine Ridge Indian Reservation to assist a missionary couple who have planted a church there. We also held a three-night vacation Bible school for the children. The following is a 30 minute documentary that I have created using interviews and footage from our trip. Enjoy the film. 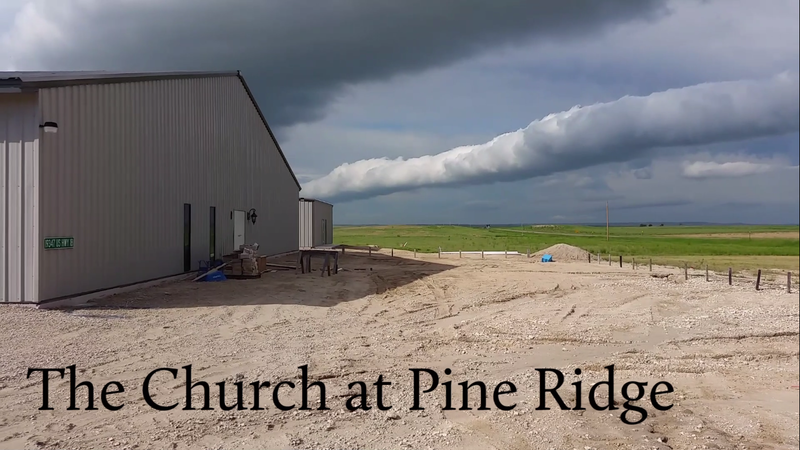 I wanted to create this page as a home for the video because you may have many questions about the work Ken and Sherry Trivette are doing at the Pine Ridge Baptist Church (PRBC). First, we’ll begin with some background on the area. The Pine Ridge Indian Reservation, founded in 1889, was the site of the relocation of the Lakota Oglala Sioux people following the conflict between the United States army and the Indian nations from 1860-1890. (If you’d like to know more of the history of the Sioux and other Indian tribes in the West, I highly recommend Dee Brown’s Bury My Heart at Wounded Knee, which gives an excellent look into what it was like to be an American Indian during the Plains Wars.) The Reservation spans 3,468.85 square miles (over 2,000,000 acres) in Southwest South Dakota, and around 20,000 members of the Sioux tribe reside there. Ken and Sherry moved to the reservation in May of 2012 after holding tent revivals, which were successful. They founded the Pine Ridge Baptist Church soon thereafter, and they just celebrated their three year anniversary. 1. Send a check via USPS Priority Mail (with tracking because the post office in Batesland, SD where they receive their mail is located in a mobile home so it’s nice to know that the check actually arrives) to Ken and Sherry’s address: P.O. Box 20 Batesland, SD 57716-0020. You may make the checks payable to Ken, Sherry, or the Pine Ridge Baptist Church. 2. Food donations: Shipping food to Ken and Sherry can be costly, however Walmart.com order will ship directly to the church, so if you would like to send food, using Walmart.com is the best way to do so. Amazon.com orders also ship directly to the church. The food needs change on a daily basis, but as one can imagine, the food pantry can always use large cans of vegetables and any other non-perishables. If you would like to send food this way, ship to 19347 US Highway 18 Batesland, SD 57716. 3. Pray for the ministry of PRBC. Ken and Sherry operate on faith much of the time, and they can always use your prayers. 4. Contact Ken and Sherry to meet specific needs. If you would like to make a specific contribution or find out the more specific needs of the people on the reservation, you may contact Ken and Sherry. Their online contact info is available by contacting the Moon’s Chapel church office, or by visiting Ken’s Facebook page. The trip was eye-opening for me and the other team members, and it has been wonderful to know that our giving has impacted the people of Pine Ridge in such a powerful way. If you cannot support Ken and Sherry financially, please take the time to share this video or this webpage in order to spread the word about the work the PRBC is doing for the Sioux people. Thank you for taking the time to watch the film and read this page. I would like to personally thank Moon’s Chapel Baptist Church for funding the majority of the trip, as well as our mission team for agreeing to interviews for this film. We hope to be a blessing to the people of Pine Ridge more in the future, so stay tuned to moonschapel.org or the Moon’s Chapel Facebook page for updates on the PRBC.